The dawn of a new year is the perfect time to hit reset and correct course when it comes to your money. You may have already given thought to some health-related wellness goals for 2018, but what about your financial wellness? 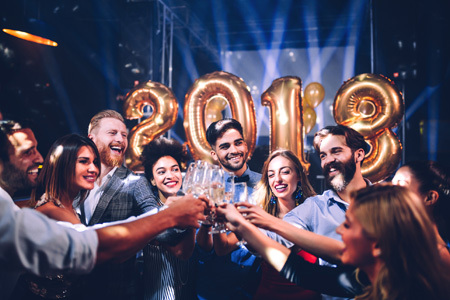 So perhaps it’s time to take a look at those areas and figure out what’s working, what’s not, and what you can do to correct course in the new year. If debts are a concern, firstly sort the good debts from the bad. Good debts are those which are helping you build long-term wealth, such as your home loan. Take stock of your bad debts, such as credit card debt, personal loans, or car loans, looking at the amount you owe, the rate of interest, and any fees, you’re being charged on each. It’s worth contacting your debt provider to see if you can re-negotiate the repayments or interest rate, and then prioritise your debts, trying to clear those which are costing you the most in interest and fees first. You could also look to consolidate your debts into one loan, which can give you a clearer picture of what you owe and potentially save you money too. If you already have a mortgage, you can put this loan at the centre of your finances by consolidating all your debt and savings into it. This can help your overall financial position by minimising the total interest you pay, because most credit card and personal loans are charged at a higher interest rate than a home loan. While using your savings to offset your home loan will also result in reducing the amount of interest you pay. For some of us, it’s not the future but the day to day and here and now that keeps us awake at night. If you’re sick of living week to week or often find you have more month left at the end of your money, 2018 could be the year to take control of your finances. Start by making sure you have a budget in place, so that you have visibility over the money you have coming in and what’s going out. It can also be helpful to think of your money in terms of buckets, to separate money to pay the bills out from the money you have for everyday expenses, such as food and entertainment. If it’s saving for your retirement that’s worrying you, there are things you can do to get your retirement plans on track, and you don’t require a large amount of money to get started. Firstly, there are billions of dollars in lost super. Some of it could be yours, so it might be a good idea to do a lost super search to help you claim retirement funds you may have forgotten about. Similarly, many Australians have multiple super funds, which may mean you’re paying more in fees than you need to. To avoid this, you can consolidate your super into one fund. You can also review your super fund to ensure you’ve got your super invested in the right investment option for your age, stage in life and individual circumstances. Another way to grow your super balance might be to put more money into super. There are different ways to make contributions, and the contributions don’t have to be large to start adding up. Around 80% of Australian workers have financial goals, but only 18% have a defined plan to achieve them.i So the new year can be a great time to consider your bigger financial goals and try to put some plans in place to start or continue working towards them. The new year is upon us so now’s the time to act. For help in putting your plans in place, you can speak to us.